This morning’s Arts & Culture Hearing at the Boston Public Library was a great event. More than 60 people testifed, myself included. Our friends at Howlround were livestreaming it, and have created an archive as well as storifying of the tweets. Friends, #BosArts was a trending topic on Twitter. The room was packed. Ideas were flowing. The transition team is meeting today, and a few more times, compiling their recommendations. Weren’t able to be there this morning? You can still submit your ideas here. We will keep you posted on their progress and their report when it is released. And let’s remember, all of us have a role in the success of this administration, so stay involved. Good morning. 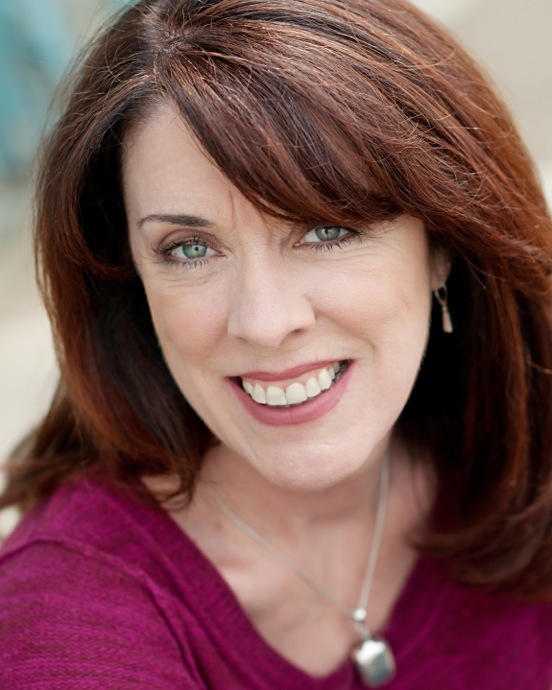 My name is Julie Hennrikus, and I am the executive director of StageSource, the arts service organization for the theater community, with a membership comprised of both individuals and organizations. We are proud to have our office in the Midway Studios building, where we share a space with the Arts & Business Council and MASSCreative. There is much to celebrate in the Boston arts community. Just looking at the theater sector, on any given night there are dozens of performances throughout the city. There is a depth, a breadth that raises our entire community. But much of this vibrancy has been on the backs of small and fringe companies, and individual artists. This has to change. I am here to encourage the Walsh administration to explore dedicated funding streams for the arts, and to codify them so that they are dependable for future generations. Other cities have created these streams, upon which are built services, grants, subsidies, and infrastructure. This funding also supports initiatives around public art. Let us explore ways to not only feed, but to nourish the grassroots of the arts community. We know that the economic impact of the arts is great for Boston. Let’s make sure that impact supports the people making the art, and the small organizations struggling in this difficult funding environment. Last year, I was one of dozens of people who worked on MASSCreative’s #CreateTheVote campaign. The goal of the campaign was to make sure that the arts were part of the platforms for the candidates for mayor of Boston. Questionnaires were sent out, and posted on line. There were committee meetings with each candidate. And a candidate’s forum to discuss arts and culture was SRO at the Paramount Theatre. #CreateTheVote was a success. Well, the first part of this advocacy work was a success. But we aren’t done. Bostonians have an opportunity to testify at the Arts and Culture Public Hearing this Saturday, January 25. Can’t make it the the BPL on Saturday? Howlround will be livestreaming the event. And some of us will be reporting back on Twitter using the hashtag #BostonArts. Mayor Walsh’s team have also provided an on-line form to share your ideas for the new administration. Engagement in this process is an opportunity we cannot squander. We in the arts community need to be part of the conversations that are shaping the city of Boston, and the environs. And by we, I mean artists, organizations, audiences, and service organizations who support the field. Mayor Walsh’s team is asking for input. Let’s make sure that the Rabb Lecture Hall at the Boston Public Library is at capacity (RSVP here), that #BosArts is trending on Twitter, and that Howlround reports a record number of viewers. Best of/Worst of: Year in Review. We have come to expect it. The list, the discussions around why “x” was added, but “y” wasn’t. Several media outlets have created their lists, including the ArtsFuse and the ARTery. (Feel free to list others in the comments.) On Sunday Don Aucoin, crtitic of the Boston Globe, published his own list, “A Year of Big Names and Big Letdowns on Stage”. It didn’t take long for my email and social media to light up. Mr. Aucoin only briefly mentions his “highlights” of the year (which are tongue in cheek at best), and spends the entirety of his article talking about the letdowns on the season. He focuses primarily on the larger theater companies and visiting commercial productions, but even in that frame, there are no highlights? Even when one LORT theater wins a Tony for best regional theater (the Huntington Theatre Company), and the artistic director of another (the ART) wins a Tony for best director of a show that we all saw last winter? In most other end of year wrap-ups, that would at least merit a sentence. Let me be clear about one thing—criticism is important. And critical thinking is necessary. “Liking” and “not liking” a production is the start of a conversation. Opinions matter, and critics have a wide frame that allows for more discourse. Stirring the pot is good for the stew. In these days of social media. the discourse is changing. But that doesn’t mean we don’t need critics. We do. But with the power of a platform like the Boston Globe, there is some responsibility. Mr. Aucoin has every right to write the article he did, but did it have to be his end of the year wrap up? When I think about what makes other cities a “theater” city, and why Boston isn’t described as such, I know that articles like this make a difference. We in the community know that Boston and New England have a lot of great theater going on. It comes in all shapes, sizes, price points and locations. The depth and breadth of the community is a story not told often enough. And when our paper of record doesn’t balance an end of year article (though every other art critic in the section did just that), it tells the readers of the Boston Globe that we don’t matter, or that we don’t do good work here. And diminishes our community just that little bit. Which makes it harder to say “we are a theater town”. For today, in the waning hours of 2013 (and early days of 2014) let’s talk about 2013 in theater. What was your favorite show/production/moment? Comment on the blog, or on our Facebook page. Or use Twitter and hashtag (#NEthtr13) it. Happy New Year theater makers of New England! I am proud to be part of this community, and am looking forward to working with you in 2014! If you’re waging a campaign – for mayor of Boston, better schools, cleaner air, more funding for the arts – what do you need to win? Ask any seasoned activist and you’ll get a laundry list of essentials: smart strategy, good organization, money, committed volunteers, savvy communications…. Right. These days not too many people outside of the theater think about making theater to make social change. And frankly it didn’t occur to me in relation to David Walker. Let me back up. I’m a playwright and also a bit of a history buff. Three years ago I participated in a seminar series on the history of black Boston. We were discussing the abolitionist movement, and David Walker’s name came up. I was embarrassed that I’d never heard of him. It turns out I was far from alone. Walker (1797?-1830) is an unsung hero. He made a critical contribution to the anti-slavery struggle, but you won’t find him in standard history books. He spent his most influential years in Boston, yet his grave in a South Boston cemetery is unmarked. His only public commemoration is a small plaque on the side of a house on Joy Street in what was then the African-American enclave on Beacon Hill. To most Americans, David Walker – visionary, radical, an inspiration to later generations of black leaders and activists – is invisible. Our little study group decided that had to change, and we launched The David Walker Memorial Project (DWMP). And a new play of mine, “Raising David Walker”, which runs October 24-27 at Hibernian Hall, in Roxbury. When we first began the DWMP, I had no plans to write a play about David Walker. Our focus was on how to make him better known and appreciated and to lay the groundwork for our long-term goal: to build a public memorial in his honor. We set up a website (www.davidwalkermmemorial.org), we revised and expanded the inaccurate Wikipedia entry on Walker, and we discussed plans for a curriculum for teachers and students. Still, I knew that somewhere inside the David Walker story was a play itching to get out. Not a history play, not a biopic – Derek Walcott’s opera called simply “Walker” is focused on the man himself – but something that would connect Walker and his ideas with the contemporary struggle for racial justice. And then – eureka! – I found my starting point: the widespread belief in the black community back then that Walker, who officially died of TB, was in fact assassinated. Even when I began developing the play, it wasn’t clear to me that it could have a role in the DWMP. For starters, there was the small matter of getting the thing produced. Luckily (doesn’t luck always play a part? ), Dillon Bustin, the artistic director of Hibernian Hall, came to a staged reading of “Raising David Walker” at The Democracy Center in Cambridge, liked it, and offered to stage it at Hibernian Hall. And the timing came together, too: we were able to schedule the production to coincide with the other DWMP events this fall. Although it may be distinct in being linked to a specific campaign, “Raising David Walker” is just one of a host of contemporary plays on social and political themes that have graced – and are gracing – Boston stages this fall. In a recent Boston Globe article, Don Aucoin highlighted some of them, including Quiara Alegria Hudes’s “Water by the Spoonful” at the Lyric Stage, Ginger Lazarus’s “Burning” at Boston Playwrights’ Theatre, Robert Schnenkkan’s “All The Way” at the A.R.T. and Zeitgeist Stage’s revival of “The Normal Heart” at the Boston Center for the Arts. But if you mostly work in more conventional theater spaces, you can’t help but wonder – at least I can’t: What impact am I really having? Who am I reaching, who am I engaging (beyond my friends, family and loyal fans)? What does “relevance” mean anyway in the context of theater? At least with “Raising David Walker”, I’ll be able to look to the success of the DWMP as a whole. If our website attracts more traffic, if information requests increase, if we can raise the money and build the memorial, it’s fair to assume (and I will) that the play, as part of raising Walker’s profile and generating support for the project, had something to do with it. The social impact of any art form will always be a matter of debate. I think John McGrath, founder of the Scottish popular theatre company 7:84, has it right: “…the theatre can never ’cause’ a social change. It can articulate pressure towards one, help people celebrate their strengths and maybe build their self-confidence… Above all, it can be the way people find their voice, their solidarity and their collective determination”. Oh, a teaser about “Raising David Walker”!… “The year is 1979. Serena Fox, a graduate student in forensic science at a Boston university, takes an elective course on the history of racism and is introduced to David Walker, an early nineteenth-century abolitionist. Captivated by Walker and his Appeal to the Colored Citizens of the World, she begins to hear his voice in her head. One morning Serena enters her living room to a find a man dressed in period clothes sitting on the couch. He says he’s David Walker….” The incomparable Vincent Ernest Siders is directing, and we have a great tech team and a cracking cast – Diego Arciniegas, Shanae Burch, Ric Engermann, Kris Sidberry, and Jem Wilner. Tickets – $20, $10 for seniors and students – are available at www.hibernianhall.org. Hope to see you there! We are one week away from starting a new series of classes here at StageSource. Called “Basic Training: Strengthening Your Administrative Core“, these are more than just best practices, or basic how-to-produce workshops. They are an opportunity to invest in yourself, and your success. We have geared the classes to individual artists, or people running (or working with) small and fringe companies. But the classes are also an opportunity for arts administrators to refresh their skill sets, or build new ones. Additionally, you will be meeting people who work in the arts community, and spending six Monday nights with a group of people who will become a network of support as you move forward. Training is an important part of the theatrical process. Performers take classes, playwrights workshop new work. Arts administrators need to do the same thing. The path to success is not without detours, or opportunities to take a side trip that may be a better route to success for your work, or your company. There are basic skills you need to know (budgeting, marketing, legal knowledge, audience development), but even these can be adapted to support your success. I teach arts management classes at Emerson College. In the ten years I have taught, I have changed my approach to the topic drastically. From “here’s how to start a company” to “don’t start a company right away, do your work first and figure out what works”. From “here’s how to write a grant” to “there are a lot of ways to raise money, which works best for your project?”. From “here’s how to measure success (one size fits all)” to “let’s talk about success for you as an artist. What does that look like, and how do you/we support it?”. I have also availed myself of workshops and classes. I regularly read a number of blogs and publications. Even though I teach and am very knowledgeable, I never stop learning. The arts world is changing, and we all need to build up the skills to lead the change. The Basic Training classes are an opportunity for you to invest in yourself. And what better investment is there, really? There is work to be done, and changes that need to be made; help us strengthen the core of the people who are going to do it. Will we see you in one or all of the Basic Training classes? Please call us in the office with any questions, or to sign up. We are open to setting up a payment plan if that is easier for you. Give us a call at 617-720-6066. One of the great things about StageSource gatherings is the opportunity to talk to people who come to theater from the “other” side. I work on the administrative side — marketing, fundraising — so I love hearing from people on the artistic side. And from what people tell me, the reverse is true as well — that the actors, directors, writers, and designers are often very interested in learning more about how the administrative side works. We are sometimes a mystery to each other, but clearly you need both sides if you’re going to produce theater. The upcoming workshop series “Basic Training” was developed out of this kind of interaction. At the conference, the sessions about finding spaces to make theater, about the challenges of small and fringe theater management, and about fundraising drew large audiences. Many were theater professionals who wanted to start their own small companies or produce shows on their own, but who didn’t feel confident in their understanding of the business end of the theater business. The “Basic Training” series addresses these professional development needs. It’s intended to give theater professionals a well-rounded exposure to all the administrative elements you need. The workshops are being run by accomplished professionals who actually do this stuff for a living — Sara Stackhouse from Actors’ Shakespeare Project, Darren Evans from the BCA, Megan Low from Arts and Business Council’s, Volunteer Lawyers for the Arts Program, to name just a few. You’ll have the chance to learn the nuts and bolts from these professionals, and in a small-group setting where you can interact with your peers as well. The first session is on October 21. Please click here to find out more, and join us! 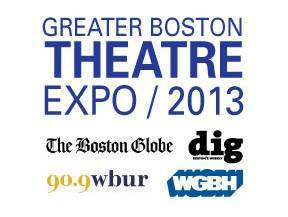 Going to The Greater Boston Theatre Expo? Not sure what to talk to people about? Watch Julie’s latest video for a quick tutorial on how to create a pitch. What are your tips and tricks to creating the best pitch? StageSource Executive Director, Julie Hennrikus talks to Michael Maso of The Huntington Theatre Company and David Colfer of Emerson Stage about the Greater Boston Theatre Expo. More than 50 Greater Boston theatre companies of all styles and sizes will unite onTuesday, September 10 in the Cyclorama at the Boston Center for the Arts (539 Tremont Street, Boston) for the first annual Greater Boston Theatre Expo. The public is invited to attend the free event held from 5:30pm to 7:30pm to meet representatives and artists from the region’s fringe, small, mid-sized, and large theatre companies, to get information about upcoming productions, and to take advantage of Expo-only ticket offers and giveaways. Back in March, Barbara Lewis, Director of the Trotter Institute on campus, came to me with an idea. This idea was the Emancipated Century/August Wilson Readings. We discussed producing readings of all ten plays in the August Wilson cycle in five different theaters across Boston. I felt we had come across the coolest idea ever! Dr Lewis told me that the deadline was approaching for a Creative Economy grant given to members of the UMass community through the UMass President’s office. Now, since I am but a lowly (hard-working and underpaid) adjunct professor, I knew I would need the backing of my department to make this a reality. So, I ran the idea past Dr. Robert Lublin who is the chair of the Performing Arts Department. Dr Lublin is a noted scholar in classical theatre, particularly Elizabethan. He oversees a rapidly growing department that consists of not just theatre, but music and dance as well. He is also something of a cautious person, so I figured my chances were 50/50 in convincing him to move forward on this. I forgot how much he loves August Wilson. His eyes lit up at the thought of actually getting the chance to see the entire ten play arc performed. In the early phase of putting this project together, Barbara Lewis and I also met executives and board representatives at Central Square. They were excited about the idea and agreed to help. After getting their support, we knew we could make things happen. With Central Square on board, it was easy to get buy-in from the Strand, Hibernian Hall, and Boston Playwrights. But the timing of getting the notice about the grant left us little time to dally. We hit the ground running. Our first reading was Monday Aug 5th in the McCormack Theatre at UMass Boston. Although we had a small crowd, we had a very powerful show. We expect audiences to pick up with each successive show. We want the readings and corresponding public forum series to inspire an appreciation of August Wilson’s work, but more importantly, we want audiences to engage in a dialogue about their community and Boston in general. Although the issues brought up in Wilson’s plays are at the center of the concerns for African Americans, those concerns are many of the same ones that face Americans in general. Poverty, vanishing economic opportunities, a growing gap between the haves and have not’s, crime, racial tensions, and the dissolution of the “American Dream” are topics that touch all of us. They are community problems in need of community solutions. However, solutions are collective. They must come through the dialogue. Our larger aim is sparking and helping to shape that dialogue. Tickets are free for the readings as well as the public forums, which are supported by a grant that the Trotter received from the Massachusetts Foundation for the Humanities. Our next reading will be at The Strand Theatre, 543 Columbia Rd in Dorchester. Our first forum, on the topic of “Citizenship and Jim Crow Today” will be held on August 29, 6-8 p.m. You can contact us on theemancipatedcentury website or through Facebook: https://www.facebook.com/EmancipatedCenturyAugustWilsonReadings?ref=hl or you can contact me at Clifford.odle@umb.edu. Jeremy Johnson interviews Maureen Keiller in this episode of “Live from the Library”. Maureen Keiller was last seen in 33 Variations at the Lyric Stage of Boston. Other credits: Big River, The Life and Adventures of Nicholas Nickleby (Elliot Norton and IRNE award for Best Midsize Production), Speech and Debate (Elliot Norton Award, Best Midsize Production), Epic Proportions, Inspecting Carol (all at Lyric Stage); Nine, The Little Dog Laughed, The Women, Almost Maine, The Wild Party(SpeakEasy Stage); Car Talk:The Musical!!! (Central Square Theatre); The Sweetest Swing in Baseball (Boston Theatre Works); A Streetcar Named Desire (New Repertory Theatre); Anne of Green Gables, Ramona Quimby, Pippi Longstocking (Wheelock Family Theatre);Frankie and Johnny in the Clair de Lune (Lyric West). Film work includes: Fever Pitch, We Pedal Uphill, My Best Friend’s Girl.Television: The Makeover (Hallmark/ABC Family); Brotherhood (Showtime series); We Made America (WGBH). Maureen is a two time IRNE winner.